Podcasts on enjoyable Movies, their genres, the people involved, the cultural impact and much more. Whatever it might be, Asian Cinema has a special place (or many lil places) in our heart. Below is a selection of podcasts catering to this fun topic. This podcast discusses kung fu and martial arts cinema past, present, and future! Welcome to the Kung Fu Movie Guide Podcast. Listen to exclusive, in-depth interviews with actors, stunt performers, directors, choreographers and writers discussing their careers and their passion for martial arts cinema. Hosted by Ben Johnson. From the Far East, to the great West, the podcast that celebrates the red-headed stepchild of the Kung fu genre. Bruceploitation! Hosted my Michael Worth, and Matthew Whitaker. Hosted bi-weekly by Matthew, Marty and Carlos – three heroes chronicling an exciting world of action. A Podcast dedicated to discussing Martial Arts cinema both older and contemporary. So is author/screenwriter/studio & network consultant/professor Ric Meyers (Films of Fury: The Kung Fu Movie Movie)! So every fortnight he and his action/actor/artist/animator pals yell about what’s wrong, what’s right, what’s good, what’s bad, and, most importantly, how to make it all better! The Podcast On Fire Network aims to provide a large, continually expanding overview of Asian cinema. On the flagship show, Podcast On Fire (see below), the big guns out of Hong Kong cinema gets a spotlight through discussion and review while the remainder of the network shows gives you insight into Japanese, Korean, Taiwanese cinema and the history of adult oriented Hong Kong cinema! The flagship show of the Podcast On Fire Network covers classic Hong Kong cinema, everything from Bruce Lee to Jackie Chan, John Woo and Jet Li! Featuring in depth discussions with an aura of fun, this is your primary stop in the podcast world for classic Hong Kong cinema! Learn all about the golden ninja empire, Godfrey Ho, IFD Films & Arts Limited and Richard Harrison! Featuring in-depth reviews and thoughts on classic and maybe not so classic directors that in their own way played an important part in shaping Hong Kong cinema. Taiwan Noir highlights the forgotten Taiwanese cinema of yesteryear. This podcast asks the question. And although it possibly doesn’t answer it, it does gather a cast of experts for an in-depth look at defining works of Korean cinema… Even North! Japan On Fire puts a spotlight on the known and personal favourites of the hosts as well as providing a journey of discovery for the hosts and the listeners! Everything from Kaiju, J-horror to anime! East Screen West Screen: Join hosts Paul Fox and Kevin Ma as the talk film from the Fragrant Harbor (Hong Kong). Each show will focus on news and reviews from Hong Kong, Asia, and abroad. 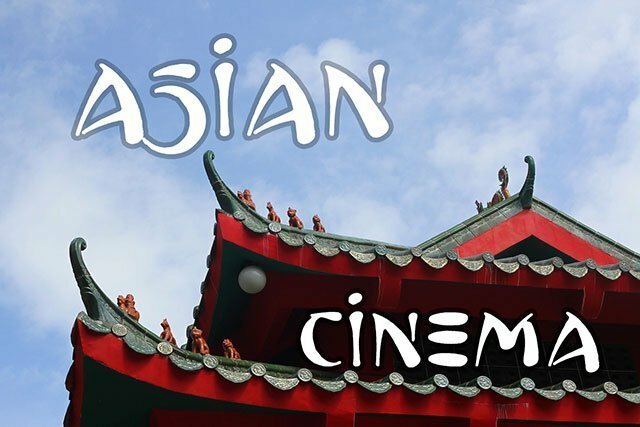 With occasional guests, interviews, and more, it’s audio food for the Asian-film lover. 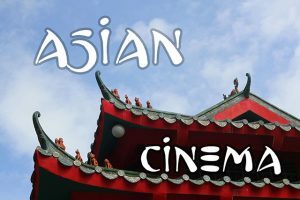 Elwood and Stephen attempt to provide an introduction to Asian cinema, with each episode focusing on a different film along with further recommendations. A group of friends spend their time watching the best and worst of Asian action cinema so you don’t have to. An examination of Asian horror films and culture. Join us as we lick our blades, banter and ramble on, and provide in depth reviews of some of our favorite (and not so favorite) Anime, Kaiju, Martial Arts, Chanbara, and Asian films. You can find out more about our show, all of our previous episodes, and our show notes at our website. This Podcast is no longer Live. However, there is still a collection of great content to be enjoyed.Telling true stories of Asians throughout history – and pitching them to Hollywood. The China-Hollywood Greenlight is a podcast that interviews film and TV professionals who guide you on your journey to getting your own projects green lit.